This month marks the two-year anniversary of the ignominious EU-Turkey deal. Although rebranded and formalised as a “Statement”, in part to avoid the parliamentary and judicial scrutiny that an international agreement entails, at its heart there is a deal, an agreement for the mutual benefit of the two parties. The true heart of the deal for the EU, its benefit, is the blocking of departures of people from Turkey. As most of those who arrived during the crisis were refugees, this means the containment of refugees, mainly Syrian, in Turkey. This action of preventing of departures or reducing their facilitation, is not even explicitly mentioned in the Statement, it is dressed up in point 3, that Turkey will “take any necessary measure to prevent new sea or land routes for illegal migration opening…” But there is no doubt that this is what is important to policy-makers who claim that the deal is a success because the measure of success is exactly this: people were prevented from leaving (and thus the EU was saved). The Statement itself should therefore be seen as an enabling tool, packaging the deal at its core in a way that allowed EU Member States to sign up to the prevention of departures, which few would have explicitly negotiated and agreed to. Many of the other parts of the Statement serve as masking, mitigating or distracting elements. Attention has focused on the one-to-one exchange, point 1 of the Statement, whereby “bad Syrians” who dared to use smugglers to get to the EU in search of family and protection are returned to Turkey and in exchange “good Syrians” are resettled directly from Turkey – one for one. ECRE has criticised this piloting of the inadmissibility/safe third country mechanism for preventing access to asylum which runs throughout the proposed reforms of the Common European Asylum System, and many analysts and politicians have condemned the measure for its illegality and inhumanity. But it was not essential to the deal – logically. As the (non-voluntary) return of Syrians under the deal was blocked by the Greek courts until recently, it cannot have acted as the disincentive that changed behaviour. And the deal’s purported “success” cannot rest upon it. If, for the EU, it was all about blocking departures, what Turkey got out of the deal is less clear. It would be wrong to see it as bribery, as the EUR 3 billion was not enough to get Turkey on board, especially as much of the money has been disbursed to implementing partners. The provisions on visa liberalisation, Accession, and Customs Union were more valuable. The first two are now moot due to political developments and legal changes in Turkey, but its hand has probably been strengthened in Customs Union negotiations. Far more valuable for Turkey is the power over the EU that the deal bestows on it – and a level of immunity from EU involvement and critique of internal changes, as well as long-awaited security support and a tacit acceptance of its activities at its border and in Syria. ECRE will shortly publish its analysis of the asylum system in Turkey under its AIDA database: despite continued and well-documented flaws in what is a relatively new asylum system and apparatus, Turkey’s efforts are also commendable in many ways. Without commenting here on conditions, in terms of sheer numbers, Turkey is more than doing its fair share, now hosting 3.4 million Syrians under the Temporary Protection Regime. Therefore, the EU adding to this number through its failure to take on its responsibility leads to major protection challenges. Some of those who supported the deal knew it was wrong but argued that there was no alternative, and opponents of the deal have been – sometimes rightly – criticised for not articulating alternatives at the time. However all of this is disingenuous, tactical and self-justifying: between the deal in its final form and the “open borders” policy that opponents are caricatured as supporting, there were multiple other options, which could have involved working with Turkey, deployment of crisis operations in Turkey, Greece and beyond, as well as forcing political agreements and positive action by smaller groups of European states. It is also likely that the numbers of refugees moving would not have continued at the same rate, and that even if they had, Europe would have coped, as fragile and poor countries facing even larger influxes of people (Kenya, Uganda, Bangladesh) manage to do. In assessing the deal, some positive results have to be acknowledged: the funding has supported access to services for refugees in Turkey; as of 1 March 2018 12,401 people had been resettled from Turkey (there are 3.4 million Syrians in Turkey); and DGMM, Turkey’s ministry for migration, has been strengthened. However, first, in all of these areas, there are still huge gaps due to the sheer number of people hosted in Turkey. Second, these results not only could but likely would have occurred anyway. European countries are funding assistance to refugees in Turkey anyway, as part of the policies of increasing humanitarian assistance to “protection in the region”; resettlement was and is happening outside the Statement; and DGMM was and is developing independently of it, along with the Temporary Protection Regime for Syrians, and others leaving Syria, in place since 2014. 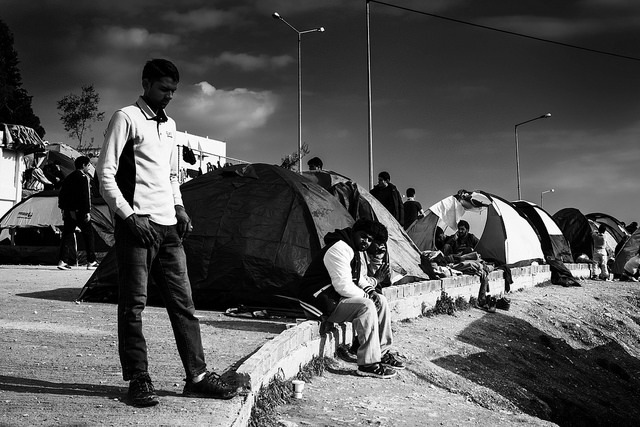 Some of the immediate negative consequences are well-known, with extensive documentation of the humanitarian crisis in Greece, although the consequences in Turkey are harder to document and the consequences at the Syrian border and in Syria, almost impossible to document, generating the risk that they are “out of sight, out of mind”, allowing officials to proclaiming that they are “certain” and have “no doubt” that Turkey is safe for Syrians with little evidence available. The long-term implications for the global protection system are yet to be understood, as other countries follow Europe’s lead in blocking access to their territory for refugees. Moving on from the human rights issues (because who cares about that when “migrants” cause a “crisis” for Europe), the deal also has negative consequences in terms of the EU’s interests. The EU’s relationship with Turkey was already complex and to some extent transactional – including on migration control with the EU linking readmission to visa liberalisation back in 2003; it is also multi-layered and opaque with bilateral investment, commercial and security cooperation taking place below the superficial political posturing. Navigating all of that and Turkey’s internal political changes while rendering itself beholden to Turkey because of its failure to find another way to manage the refugee situation, has significantly weakened the EU and individual Member States. While we should both decry the presentation of the EU-Turkey deal and the Statement that enabled it as a success, and expose its consequences, the battles now lie elsewhere. Those proclaiming the success of the deal want to replicate it elsewhere. The plan is to roll out the model of murky deals, covered by meaningless, non-justiciable “statements”, offering political concessions to dubious regimes in order to contain people. Those who saw the deal as a “necessary evil” or what it is declared to be – an extraordinary measure for exceptional circumstances – need to work with those who always opposed it to prevent this retrograde, short-sighted approach to migration cannibalizing EU foreign policy and being codified in the reform of European asylum law. If the EU is unable to find any alternative way to manage its own internal political crisis on migration and asylum then the likelihood and the value of its survival have to be questioned.